R&D in network growth engineering, end-to-end quality of service, and security. Revolutionary applications. NLM participated in the third goal through three sets of NGI contract awards. The original four large HPCC agencies—ARPA, DOE, NASA, and NSF—had gotten out in front on getting NGI funding, and almost left smaller HPCC agencies behind. But with Congressional knowledge, Lindberg put up $5 million in NLM’s budget so it could also participate, and Congress appreciatively added $5 million to the NLM budget for its NGI efforts. The NGI budget then became $105 million per year. NGI met its goals, early. The HPC Act of 1991 authorized a Presidential advisory committee to assess the Program’s progress, balance, need to revise, and U.S. leadership. The Act stated that the President was to appoint members from the “research, education, and library communities, network providers, and industry, who are specially qualified to provide the Director [of OSTP] with advice and information on high-performance computing”. 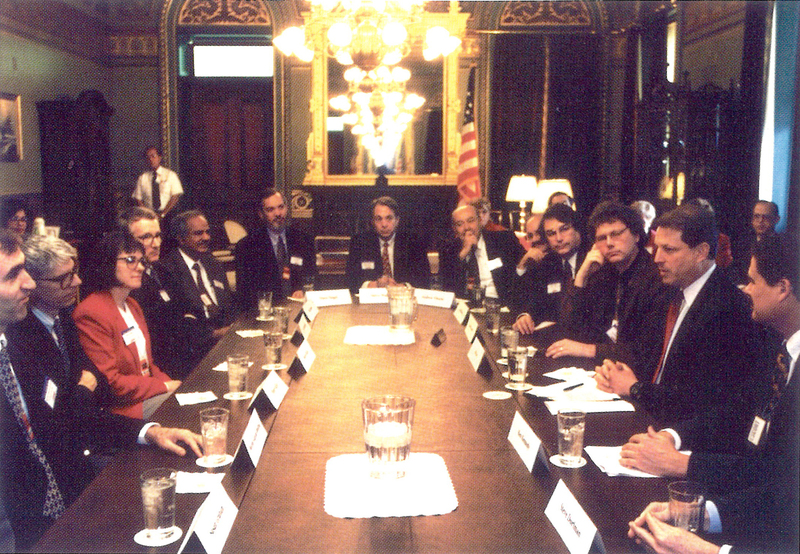 In a busy February 1997, the President’s IT Advisory Committee (PITAC) was established and held its first meeting. Until then, HPCC had benefited from 1992 PCAST reports about HPCC and related topics (MS C 621 box 9 folders 9-16) and from one-time-only meetings with industry groups and computer center directors during Lindberg’s tenure as NCO director, as permitted by the 1972 Federal Advisory Committee Act (FACA). FACA allowed PITAC to hold an unlimited number of public meetings. With its cachet as a Presidential advisory committee on a subject of global-scale import and interest, the White House was able to recruit top-tier HPCC and IT R&D leaders from U.S. companies and universities to learn and provide advice about the HPCC Program. PITACers could be briefed by HPCC agency people about what each agency did and how they worked together, and by private-sector experts in HPCC R&D topics. PITAC could write public assessment reports to the President and Congress about both Program and topics. 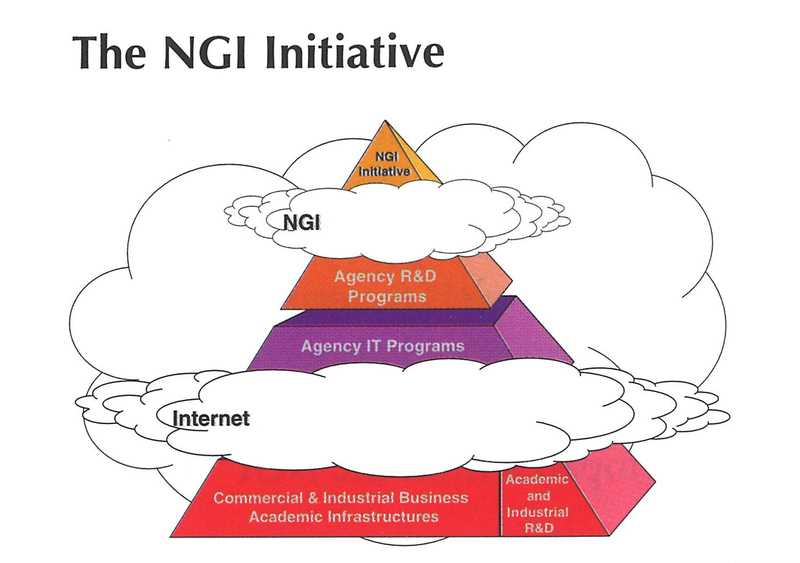 Its 1999 assessment includes “PITAC Industry Members’ Rationale for Government Support of Long Term, Fundamental Research” and called out software, Scalable Information Infrastructure (the name of one of the above-mentioned sets of NLM NGI contract awards), high end computing, and socioeconomic impact as research priorities. PITAC produced a 2000 NGI review as required by the Next Generation Internet Research Act of 1998 (Public Law 105-305), the first of several amendments to the HPC Act of 1991. PITAC organized itself into subcommittees to prepare reports recommending R&D in digital libraries and for transforming health care through IT, among others. In 2005, PITAC responsibilities were assigned to the PCAST, which has broader scope, and enlisted other experts to help with NITRD Program assessments in 2007, 2010, 2013, and 2015. These reports garnered the attention of the U.S. Government and the private sector, and informed HPCC Program planning and funding. You can find a complete inventory of PITAC and PCAST HPCC materials in the HPCC archival collection. How did the HPCC/NITRD Program come to have 25 years of success? First, Congress, PITAC/PCAST, universities, industry, and professional organizations supported the Program. They acknowledged that HPCC resources (general-purpose by design) were essential to meeting national goals including national security and national defense, a strong economy, leadership in science and technology, healthier citizens, a better-educated citizenry, and a sustainably healthy environment. The PITAC photo above and a list of PITAC members are on pages 46-47 of the FY 1998 HPCC Supplement to the President’s Budget. Second, HPCC was good to its word: it said what it wanted to do and then it delivered. HPCC annual reports to Congress, strategic plans, and HPCC R&D needs reports were key mechanisms by which the Program publicly proposed how it was going to advance HPCC and information technologies. Explicitly or implicitly in each report, proposed efforts addressed agency mission needs, included both individual agency and multi-agency commitments, often included input from workshops in which university- and industry-based researchers participated, and had Administration support. In recent years, reports addressed R&D needs in wireless spectrum, AI, computational science, privacy, big data, and cybersecurity. HPCC reports can be found throughout the HPCC archival collection, are listed individually in its finding aid, and are online. Finally, an explicit measure of success is that HPCC technologies are ever more pervasive, and are always getting faster, cheaper, more reliable, and more capable. What a wonderful government-university-industry science-and-technology R&D program HPCC and now NITRD have been. I’m honored and proud to have been part of them, and thank NLM for supporting the creation of the HPCC archival collection. The National Coordination Office for High Performance Computing and Communications Archives 1936-2017 document the little-known HPCC Program that quietly helped make today’s information age possible through decades of research and development (R&D) in computing, networking, and information technology, and interoperable Federal research and education networks that are a testbed for networking R&D. This is the third of three posts about the HPCC Program, the NCO/HPCC (especially when it was at NLM), and this archival collection. 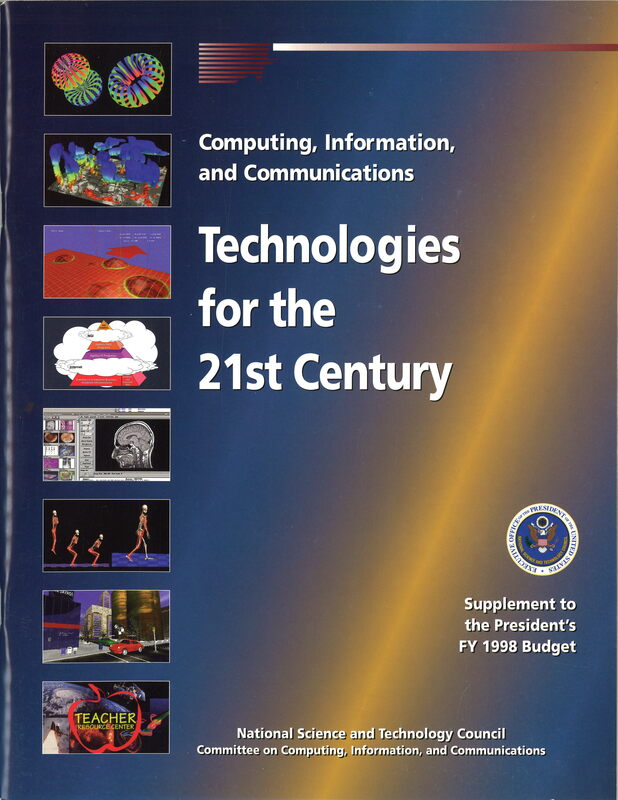 The archival collection documents the history of the High-Performance Computing Act of 1991, activities of the eight (now 14) Federal science and technology agencies in the HPCC Program, the National Coordination Office for HPCC that was initially housed at NLM, the successors to the HPCC Program and the NCO/HPCC, the President’s Information Technology Advisory Committee authorized by the Act, and interactions with U.S. universities and industry. Sally Howe, PhD came from NIST to NLM in 1992 to work at the newly-created National Coordination Office for High Performance Computing and Communications (NCO/HPCC). She served for two and a half years under the NCO’s founding director and now-retired NLM Director Dr. Donald A.B. Lindberg, and for 10 years as NCO Associate Director. Dr. Howe currently serves as an NLM Special Volunteer.